When Ar Tonelico Qoga came out, Gust claimed that it would be the final game in the series and, in some respects, they’ve held to that. But they’ve now released Ar nosurge, a title with some striking similarities to the Ar Tonelico series. Fans of Gust’s work might recognize this title as being a mash-up of two series names: Ar Tonelico and Ciel nosurge, and with good reason. Ar nosurge serves as the bridge between the two; it’s a continuation of Ionasal’s story from Ciel nosurge, and a prequel to the Ar Tonelico trilogy. Fortunately, you don’t need knowledge of either to play this game, as Ciel is yet to arrive stateside, but for those familiar with the games, there are plenty of nods and character references to the titles that add a little extra color to the story. Ar nosurge tells the tale of a civilization that was asleep for 5,000 years after the destruction of their planet. The former citizens of Ra Ciela set off in a spaceship, hoping to find a new land to call home. Unfortunately, something went awry and no planet was found during their slumber, so the people are doing their best to survive on the ship. Making matters worse, creatures known as the Sharl have begun attacking the citizens, and a special group known as PLASMA has been tasked by the Empress to find some way of stopping the Sharl while simultaneously solving their homelessness. The story is played out through two pairs of characters, each made up of one woman with the ability to create song magic (like the Reyvateils of Ar Tonelico), and her partner who defends her in battle. On one side, there’s Cass, an agent of PLASMA, who is tasked with protecting the city of Felion and her partner Delta. Delta and Cass grew up together, but he’s lost much of his memory and was kicked out of PLASMA for some questionable behavior before the story begins. The other pair are the aforementioned Ionasal (childhood friend to Delta and Cass) and her protector Earthes. Ionasal and Earthes begin their story trapped in a dream-like simulated world. Earthes helps Ionasal escape and the pair find themselves in the villages of the Sharl, recruited to help them save the humans from the “Demon World” (where Cass and Delta are). So, despite the fact that Ion, Delta and Cass were once close, they find themselves working against each other at start off the game. However, the Sharl become the least of their concerns very quickly, and a storyline that could have been a great argument for how good versus evil is never so black and white is replaced by what, on the surface, seems like a more classic big bad. However, the motivations of this villain aren’t entirely what they seem, either, so while the switch does deflate things a little, it actually creates its own interesting philosophical struggle in some ways. The game adds about a dozen or so other characters to the mix, and a few of these are perfunctory, just there to get the story to move along. However, the remainder all get a considerable amount of development through the story (except Earthes, whom you dictate everything he says, visual-novel style). 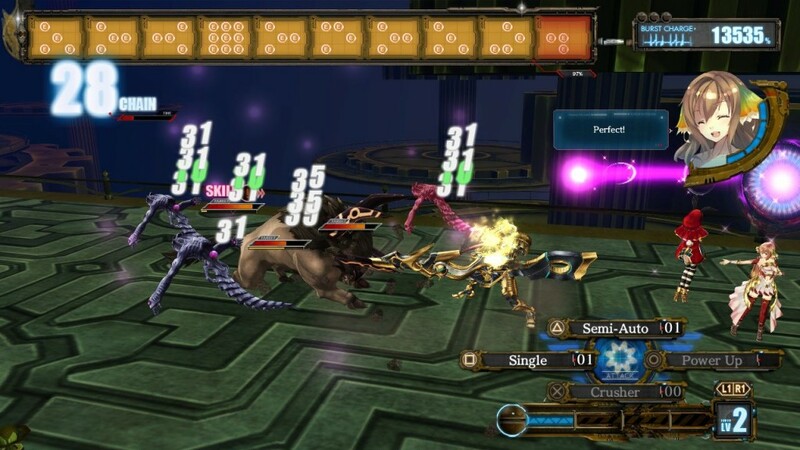 Much of the deeper character development is done by digging into the characters’ psyche, using the dive system from Ar Tonelico. Diving, known as genometrics here, allows the singer and her partner to synchronize and perform stronger song magic, but this comes at the cost of revealing their deepest fears and darkest secrets during the dive. This time, though, it’s not just protector and caster, as they can chain third parties into the dive, which reveals more about the relationships between the characters, as well. 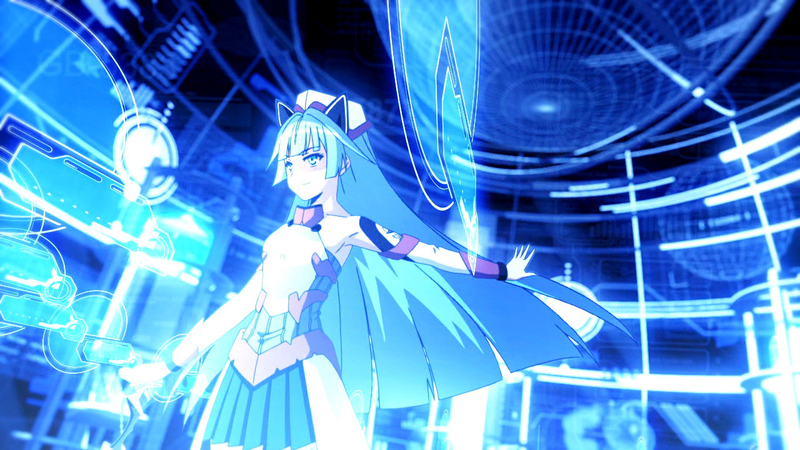 These dives are done in a dialogue-heavy, visual-novel style, so suffice it to say, if you don’t like reading your games (as many scenes in Ar nosurge are not English voice acted), you might want to steer clear–or at least buy a turbo controller to blitz through the dialogue (though you won’t understand half of the characters’ motivations if you do). In the dives, along with songs, you also unlock memory crystals that can be used to augment your characters during Purification. On the surface, the Purification ritual seems like an excuse to get the characters stripped down to their skivvies (this is related to Ar Tonelico, after all), but it also serves to let each pair of protagonists have some time together and express things that would otherwise go unsaid in the story. As the game progresses, the subject matter becomes more intimate and romantic, reflecting the characters’ changing emotional states. That is, of course, if you don’t choose to play as a jerk with Earthes and make him say mean things to Ion all the time. In addition to all of the conversational choices offered, Ar nosurge uses an interesting fourth-wall breaking technique of allowing you to switch between the pairs and use the other team’s knowledge to advance the story. This is not only required, it becomes a very pivotal plot point in the story, making the players themselves a prime mover of this tale, in a literary sense, not just the typical push-the-buttons-to-go one. The result is that, as a player, you become more drawn in and invested into the virtual world, relating better to the characters and their plights. So, while the story feels a little silly at times, it is still a surprisingly immersive experience. Exploration in Ar nosurge is fairly streamlined, as you choose locations from a menu and are instantly transported to that place, which saves time, but leaves things feeling a little more disjointed spatially than they really are. The locations are pretty much divided into either accessible towns or areas overrun by enemies. The fact that places like the “residential district” are now swarming with Sharl gives a sense for how much ground has been lost in this battle before the game even started. As you explore, a meter will turn from blue to green to red, indicating how likely you are to be attacked, along with a number indicating how many waves of enemies are in the area. Once you kill all the waves, you can explore freely until you leave the area. Once in battle, you select a type of song magic for Cass or Ion (depending on the team) and then you play as Delta or Earthes, respectively. 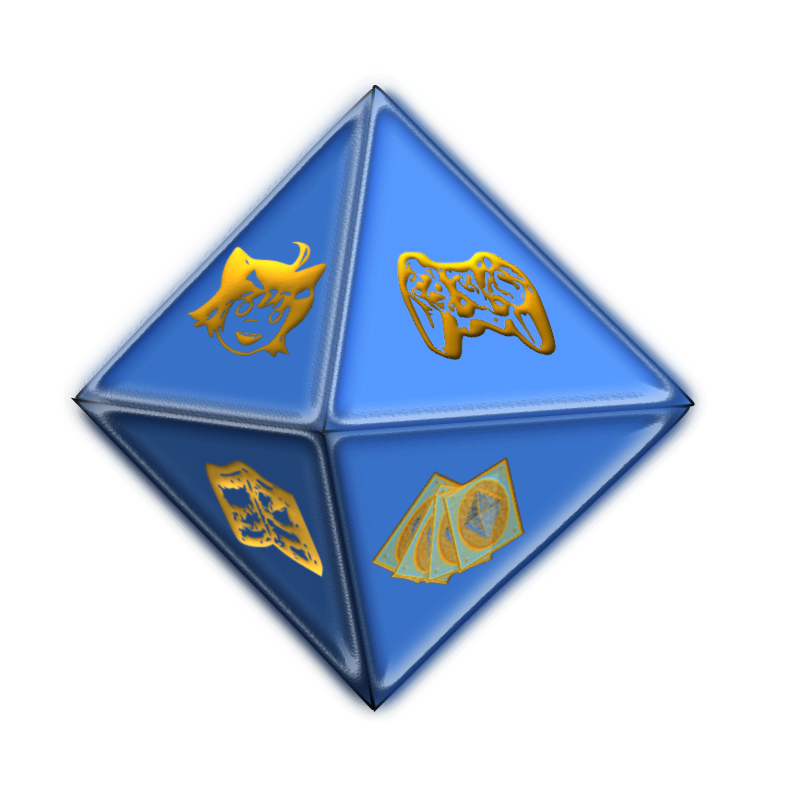 Different attacks are mapped to each button and the strength, attributes, and number of uses of these attacks are determined in part by what kind of equipment you have. Once you use up all of your attacks, it becomes the enemies’ turn; however, you can get an extra turn by breaking or defeating the enemies who are prepared to attack. Most non-boss battles are limited to 10 rounds, so when you start seeing 40 or 50 waves of enemies, managing these breaks to get bonus turns is crucial. As you fight, two gauges fill up: The first is the burst gauge, which determines how many enemies a song magic attack will destroy, and the second is the harmonization gauge, which when filled allows for special attacks. The system sounds far more complicated than it really is, but if you have trouble, playing on easy allows you to sleepwalk through the fights to get back to the story. The higher difficulties certainly offer more of a challenge, though the battles do start to feel a little repetitive after a while, even though the system is fun when you get used to it. Graphically, Ar nosurge isn’t going to turn heads at first glance. 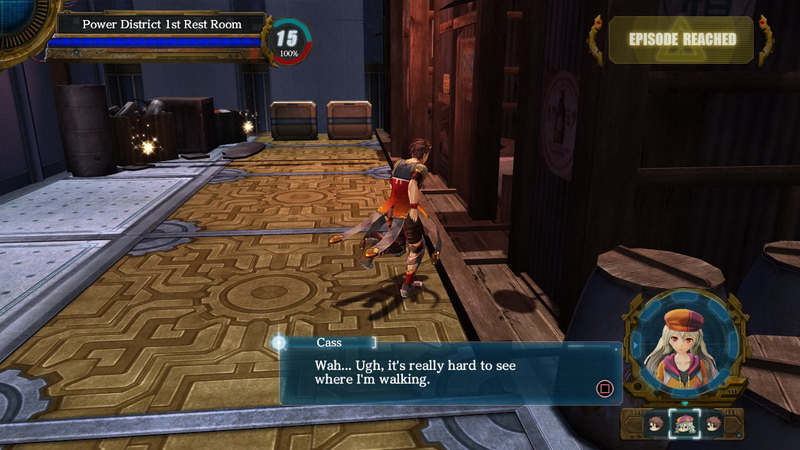 The character models and enemies are serviceable during battle and exploration. However, the portraits and the hand-drawn backgrounds are well done, and the game really shines in the animated cut-scenes used for some of the special attacks. Being a song-driven game, like the Ar Tonelico titles, Ar nosurge is much stronger musically. All of the background songs are great, and the numerous vocal tracks have an operatic quality to them that isn’t seen often outside of this series. The voice acting, on the other hand, is pretty standard and features a number of veteran anime and gaming voices, but their talents are hamstrung on occasion by some odd lines of dialogue. So, while Gust has technically held to their comment that the Ar Tonelico series is done, this is clearly a game for fans of those titles. The storytelling has matured a bit and the pervy jokes are a more well-concealed, but it’s very much a part of that family. 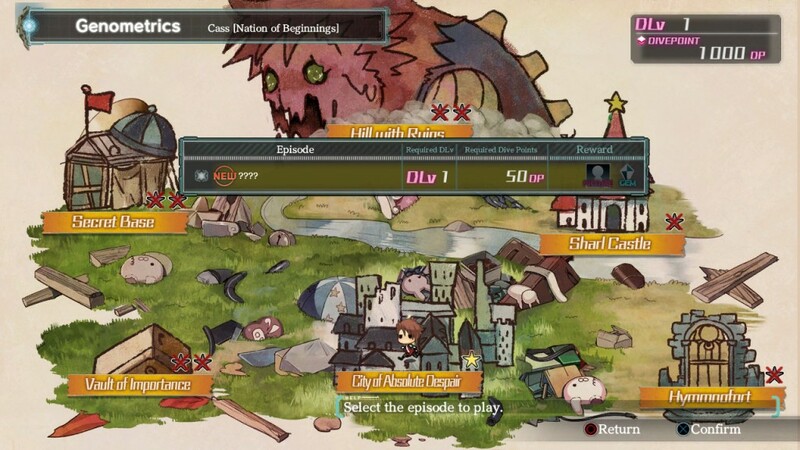 As a standalone game, it does a solid job of selling the narrative, which is good since that’s most of what the game offers, but it’s far more interesting to see where it fits into the bigger scheme of things with Gust’s other works in the Exa Pico universe.